hd00:07 RIGA/LATVIA – MAY 20, 2017: Medieval holiday ''May Count"' on MAY 20, 2017 in Riga. 4k00:19PARIS, FRANCE - NOVEMBER 10, 2016: Visitors inside Paris Photo Expo at Grand Palais. Paris Photo is an international art fair of photography held annually since 1997 in Paris, France in November. hd00:08PARIS - JAN 02: Visitors take photos of Leonardo DaVinci's "Mona Lisa" at the Louvre Museum on January 02, 2014 in Paris, France. The painting is one of the world's most famous works of art. 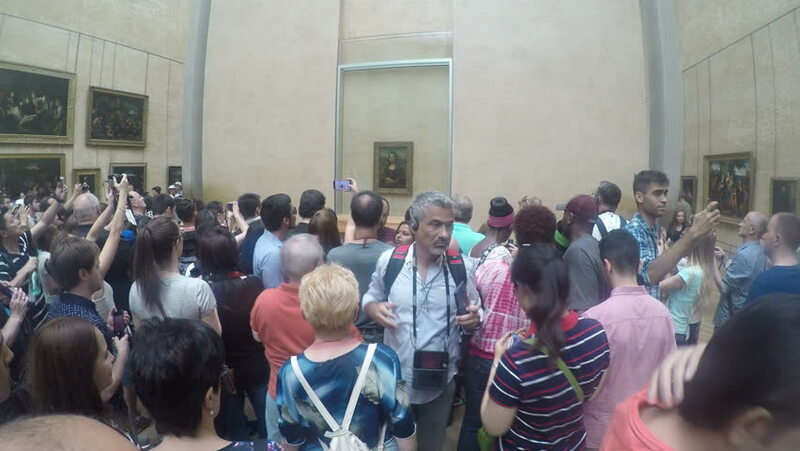 4k00:18PARIS, FRANCE - circa JUN, 2017: Visitors take photo of Leonardo DaVinci's "Mona Lisa" at the Louvre Museum in Paris, France. The painting is one of the world's most famous.